“AMINAH” turns out to be a melodious pop tune that revolves around the subject of love. Reekado Banks delivers a sensational opener and Rayvanny serenades with fine lines in Swahili. This results in what can be described as “good music” with the prospect of gaining acceptance across the continent. KrizBeatz is compiling his sophomore album which will be titled “African Time”; and “AMINAH” is the first single off the ambitious project. The album is scheduled to be released later in the year with input from prominent artists like Wizkid, Diamond Platnum, Mr. Eazi, and Tekno, expected. 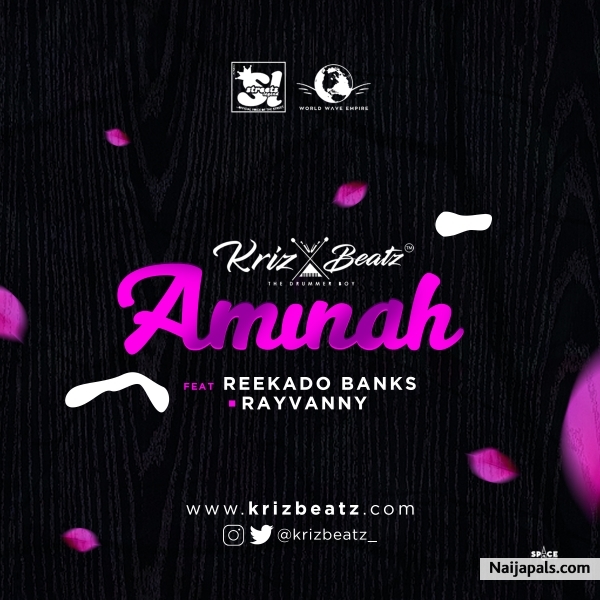 KrizBeatz, Reekado and Rayvanny on “AMINAH ” makes a formidable trio. Listen to the song below.